In this lesson, you'll get to learn the last Japanese conditional form - たら (tara) sentence. As you've already learned in the past few lessons, there're many restrictions to use と (to) sentence. There're also many regulations which you need to fulfill for ば (ba) / なら (nara) sentence if you want to express your will, hope, judgement, permission, prohibition, order, invitation or request, etc. If you want to state these expressions which involve your intentional actions in the conditional form, you need to use たら (tara) sentence. Meaning: If it's cheap, I'll buy a lot. Meaning: If you wear coat, you won't feel cold. Meaning: If I feel energetic tomorrow, I'll run 20km. Meaning: If it rains, I won't go out. Meaning: If I don't have time, I won't watch the movie. Meaning: If it's not cold, I'll wear T-shirt. Meaning: If it's not quiet, I cannot sleep. Meaning: If the weather is not good, I'll watch TV at home. Meaning: You must not drive if you drink alcohol. Example 1 above is incorrect because you cannot have expression of prohibition in Sentence 2 for と (to) sentence. In Example 2 the subjects of both Sentence 1 and Sentence 2 are the same - あなた (anata - You). The verb 飲む (nomu - drink) in Sentence 1 is an action verb, so you cannot have expression of one's hope, wish, request, permission, prohibition, etc in Sentence 2. Since 運転してはいけません (untenshitewa ikemasen) is a prohibition, this sentence is also incorrect using ば (ba) / なら (nara) sentence. In this case, you can only use たら (tara) sentence for the conditional sentence. In Example 1 above, 桜が咲きます (sakura ga sakimasu) in Sentence 2 is not a personal intention, so と (to) sentence can be used. In Example 2, 春になる (haru ni naru) in Sentence 1 is not an action verb. Hence, the regulation does not apply here. Therefore ば (ba) / なら (nara) sentence is also correct. And obviously since たら (tara) sentence has no regulation, it's also correct to use it as in Example 3. Since all the 3 Japanese conditional forms can be used here, it's natural that you'll ask how to decide which one to use? What is the situation that you should use と (to) sentence? 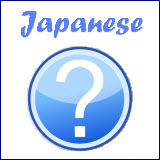 What is the situation that you should use ば (ba) / なら (nara) sentence? And what is the situation that you should use たら (tara) sentence? When to Use と, ば / なら and たら Sentences? When you are constructing a sentence using Japanese conditional form, there are 2 aspects that you need to look into. Firstly, you must look from the grammatical point of view, which means checking the sentence against the rules/regulations. If the sentence doesn't fulfill the regulations like the above example on お酒 (osake) and 運転 (unten), automatically there is no other choice but to use たら (tara) sentence. However, for a sentence like the above example on 春 (haru) and 桜 (sakura) where you can use all the 3 Japanese conditional forms, which one do you use? In this case, you have to look into the second aspect - the conversational point of view. It means that depending on the type of sentence and the meaning of each sentence, you have to choose the appropriate Japanese conditional form. It may seem difficult to select based on the conversational aspect, but once you know the requirements, it's quite simple. 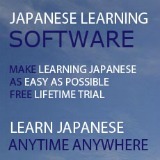 In fact, you have already learned the requirements to use と (to) sentence previously. Although there are many regulations for using と (to) sentence, it's basically used in the above 4 special cases when you want to emphasize them. Meaning: What will you do tomorrow? Suppose you are not sure about how is the weather tomorrow, so you give your friend 2 suppositions - "if it rains" and "if it doesn't rain". In this case, you can use ば (ba) / なら (nara) sentence. Meaning: If it rains tomorrow, I'll watch TV at home. Meaning: If it doesn't rain, I'll play tennis. Since both situations are possible, you are giving 2 opposite suppositions in your answer using ば (ba) / なら (nara) sentence. Let's look at another example. Suppose you are living in Los Angeles. You are asking your father what is the vacation plan for this coming summer. Meaning: Where are we going for vacation this summer? You father gives you 2 opposite suppositions - "if he has money" and "if he doesn't have money". Meaning: If I have money, we'll go to Europe. Meaning: If I don't have money, we'll go to Disneyland. Since these 2 opposite suppositions are both possible, you can use ば (ba) / なら (nara) sentence. If there's only one supposition, you should use たら (tara) sentence. Meaning: Teacher, what is required (what should I do) to improve my Japanese? どうすれば (dou sureba) in the question is asking "What is required?". Meaning: If you speak Japanese every day, it will be improved. Therefore to show requirement, you can use ば (ba) / なら (nara) sentence. Meaning: What kind of season is Spring? Meaning: Teacher, when will cherry blossom bloom? Meaning: I want to see cherry blossom. What is required for cherry blossom to bloom? In this case, your teacher wants to emphasize the requirement for cherry blossom to bloom, that's why she is using the ば (ba) / なら (nara) sentence. From the conversational point of view, if the sentence is not the 4 types of と (to) sentence and not the 2 types of ば (ba) / なら (nara) sentence as explained in the above sections, you can use たら (tara) sentence. So you have to consider the 2 aspects when constructing a conditional sentence - grammatical and conversational. If grammatically the sentence is correct for all 3 conditional forms と (to), ば (ba) / なら (nara) and たら (tara) sentences, then you have to look from the conversational point of view and choose the most appropriate type of sentence to use. While there is no regulation for たら (tara) sentence grammatically, there is one exception that you need to take note. For all the 3 Japanese conditional forms you have learned so far, と (to), ば (ba) / なら (nara) and たら (tara) sentences, they all have one common point. It's always the case that after the condition in Sentence 1 is set, then the result in Sentence 2 happens. Time flow is always from Sentence 1 to Sentence 2. For example, in this sentence 春になると、桜が咲きます。 (haru ni naru to sakura ga sakimasu), Spring has to come first then cherry blossom bloom. In this sentence コートを着たら、寒くありません。 (ko-to wo kitara, samukuarimasen), it's only after you wore the coat then you are not feeling cold. However, this is not always the case. Sometimes you may want to let the result in Sentence 2 to happen first before the condition in Sentence 1 is set. For example, if you are telling your friend "If you come to my house tomorrow, please call me before coming." Note: This なら (nara) is different from the なら (nara) that you have learned in ば (ba) / なら (nara) sentence. The one you have learned can only be used for な-adj or Noun sentence. This new form "Dict-form なら" is used when you want to show that the result in Sentence 2 happens before Sentence 1. Meaning: If you come to my house tomorrow, please call me before coming. Meaning: If you come to my house tomorrow, please call me (at my house). The above sentence looks weird, isn't it? You friend should call you before coming to your house. But if you use たら (tara) sentence, you are asking him to call you after he has reached your house. Have you got the correct answers? In Example 1 above, the speaker is going to study Japanese when he/she is in Japan because たら (tara) sentence is used. 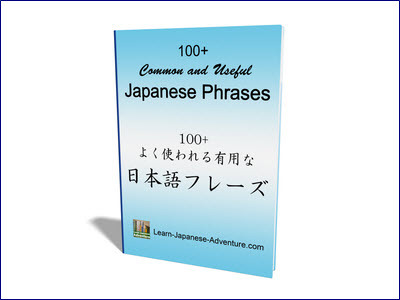 Sentence 1 in たら (tara) sentence always happen before Sentence 2. In Example 2, the speaker is going to study Japanese before he/she is in Japan because Dict-form なら (Dict-form nara) sentence is used. That means the speaker is going to study Japanese in his/her own country before he/she goes to Japan. Depends on the sentence you make, the meaning can be different.